JB machines all of the access valves at the factory in Aurora, Illinois using the highest level of brass consisting of 65% copper and 35% zinc. 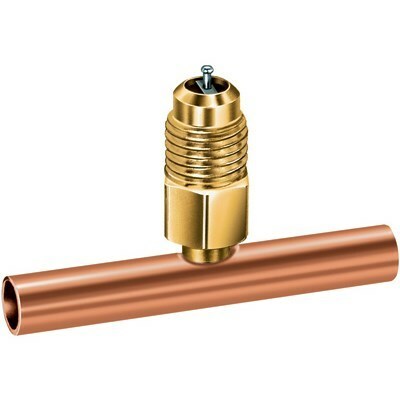 This gives our brass fittings and access valves high tensile strength while resisting corrosion. Many import fittings use lower quality brass with lower copper content, resulting in higher failure rates. JB machines all of our valves to the strict guidelines of the ARI to ensure proper sealing of the valve and core surfaces.